Pustules, Furuncles and Petechia, Oh My! I just spent a week at a correctional facility and while there was privileged to observe several nurses conducting sick call. I came away from these experiences appreciating that this process has become one of the signature practices of the correctional nursing specialty. Sue Smith referred to sick call when done well as “a thing of beauty” in her chapter on the subject in the Essential of Correctional Nursing (page 304). Reflecting on the experience of being with these sick call nurses over the week it occurred to me just how many patients were seen because of skin problems. Complaints included toenail fungus, dry skin, contact dermatitis and acne. Sound familiar? 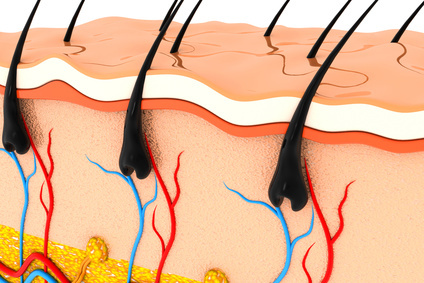 Most nursing protocols for problems related to the skin almost presume a diagnosis first. Here are some examples of these types of protocols: ectoparasite infestation, urticaria, dermatitis, candidiasis infection, bacterial infection, fungal infection, boils, jock itch, warts etc. In order to select the correct protocol the nurse should perform a more general skin assessment first. A thorough assessment and objective description of the condition also should accompany any referral to a primary care provider for more definitive diagnosis and treatment of those conditions not covered by a nursing protocol or that do not respond to nursing intervention. Subjective description: The following subjects should be covered while gathering information from the patient about a skin problem. Duration: Is the onset sudden or gradual? Previous episodes or is this the first? Has the condition been persistent or does it fluctuate over time? Location: Where is it located? Where did it start? Has it spread and if so where? Provoking or relieving factors: What brought it on, makes it worse and makes it better? Associated symptoms: Itching, tenderness, bleeding, discharge, generalized or systemic symptoms of fever, pain, malaise? Response to treatment: What treatment has the patient tried and what was the result? Be sure to include consideration of prescription, over the counter and complementary (herbal, etc.) interventions. Location – is the lesion or effected area related to sexual contact, exposure to sun or other environmental conditions (chemicals etc. ); is it in an area of friction or pressure from clothing, does it involve mucous membranes or areas of perspiration. Number and Distribution – How many? How are they arranged? Characteristics – Size (measure the longest side first). Describe the color and any variation in coloring, including any areas of inflammation. Note whether edges are clearly defined and if the shape is regular or irregular. Next palpate the affected area for tenderness and warmth. Palpate the lesion to determine where it is located within the three layers of skin (epidermis, dermis, subcutaneous tissue), how thick the lesion is and its consistency (hard, soft, firm, fluctuant). When pressure is applied does the color change or does it break down or bleed easily. Examine regional lymph nodes for tenderness or inflammation. The purpose of inspection and palpation is to obtain an accurate and objective description of the skin problem. There is a vast vocabulary of terms to describe skin conditions. A few of the most common are listed here. A great glossary of dermatological terms can be found at the American Academy of Dermatology. Excoriation Hollowed out or linear area covered by a crust. Caused by scratching, rubbing or picking. Macule, patch Flat, circumscribed, discolored spot. Macule less than 1 cm (ex. freckle). Patch is larger than 1 cm. Nodule, papule Solid, palpable lesion. Nodule if greater than 1 cm, papule smaller than 1 cm in diameter. Petechia, ecchymosis, purpura Extravasation of blood into skin. Petechia are less than 2 mm, ecchymosis larger than 2 mm. Pupura are confluent lesions. Plaque Well defined plateau above the surface of the skin. As seen in psoriasis or eczema. Pustule Superficial, elevated lesion containing pus. Vesicle, bulla or blister Circumscribed, bump containing clear fluid. Vesicle less than 5mm. Bulla or blister larger than 5 mm. Wheal Transient, irregular, elevated, indurated, changeable lesion caused by local edema. For more about nursing assessment and sick call in the correctional setting go to our book, Essentials for Correctional Nursing. It is the only text published about the unique experience of correctional nursing practice. Order your copy directly from the publisher. Use promotional code AF1209 to receive a $15 discount and free shipping. By the way, the title of this post, Pustules, Furuncles and Petechia, Oh My! is a riff on the Wizard of Oz, a holiday favorite of mine. Here is a clip from the movie. Enjoy! Hess, C.T. (2008) Practice points: Performing a skin assessment. Advances in Skin & Wound Care: The Journal for Prevention and Healing 21(8): 392-394. Jail Medicine by Jeffrey Keller at http://www.jailmedicine.com/. Select dermatology from the categories section for several blog posts on dermatology issues in the correctional setting. Johannsen, L.L. (2005) Skin Assessment. Dermatology Nursing 17 (2): 165-166. This entry was posted in Assessment, Sick Call and tagged Catherine Knox, correctional nursing, Essentials of Correctional Nursing, jail nurse, prison nurse. Bookmark the permalink. ← Drug Withdrawal: Watch Out for Opiate Overdose! I like the description of sick call as a Thing of Beauty, it is fundamental to the health of our patients to have a good evaluation by a skilled nurse. This is a great overview of the frequent skin conditions. Nice job. I am new to Correctional Nursing. This information is really helpful. Thank you! Thanks for the feedback. Our vision has been to provide practical and pertinent information and advice about professional practice in correctional nursing. We post every week; please sign up and join our community of readers.